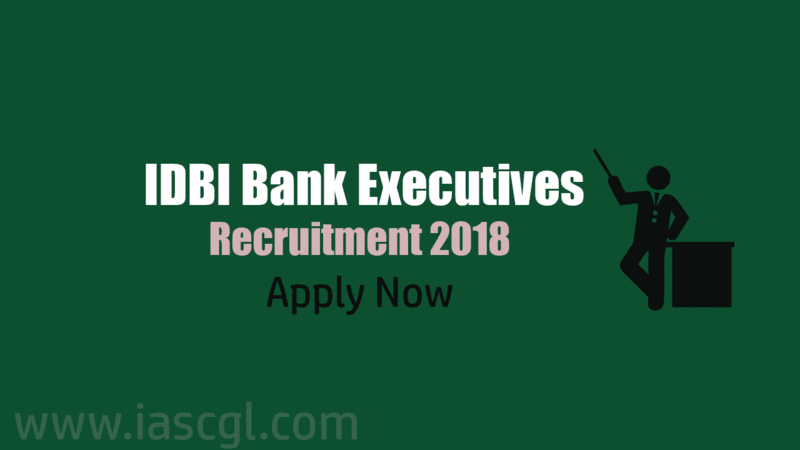 IDBI Bank has released an official notification for the recruitment of 760 Executive Posts. The candidates will be selected on the basis of a computer-based objective test(CBT). Candidates who are selected as executives will work for a contractual period of three years at the end of which they shall be eligible for appointment as Assistant Manager (Grade A) in IDBI Bank through a selection process, which will be conducted by the bank. Candidate can check their eligibility, given in the article. Interested and eligible candidate can apply through official website of the bank or a direct link given in this article. Candidate must have a Graduation degree in any discipline from a University recognized by the Government of India or any equivalent qualification recognized as such by the Central Government.